WASHINGTON (Reuters) - The Federal Reserve has rejected Wells Fargo & Co's plans to prevent further consumer abuses and told the scandal-plagued lender it needs stronger checks on management, according to three people with knowledge of the discussions. The concerns raised by the Fed, which have not been previously reported, are likely to increase the time it takes the central bank to lift an asset cap it imposed on Wells Fargo in February following a string of sales practices scandals. The bank must draw up a robust plan to improve its governance and risk management controls before the Fed will lift the cap and in February Wells Fargo Chief Executive Tim Sloan said the bank was "on the fast track" to meeting those conditions. Both the Fed and Wells Fargo declined to comment on the specifics of the review. On Thursday, the bank said it was working to satisfy the Fed's concerns and that the process was ongoing. "We work diligently to address feedback provided," the bank said in a statement. "This is an ongoing, iterative process." In April, Wells Fargo submitted its plan, expecting the Fed to sign off on it over the summer, but the central bank instead told the country's fourth-largest lender to go back to the drawing board, the people said. 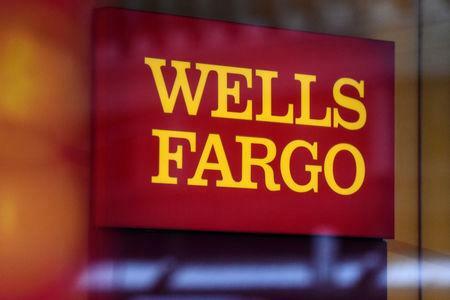 The settlement requires Wells Fargo to toughen board oversight, repay customers hurt by past abuses, and make more than 20 other improvements to its governance, risk management and compliance controls. It also required the plan to be approved, implemented and an independent third-party review completed by Sept. 30, but the bank has missed this deadline, the people said. That alone could have triggered further sanctions under the terms of the settlement, but the Fed has granted Wells Fargo more time to satisfy the February order, the sources said. Wells Fargo executives and Fed officials have haggled for months over what controls are needed to make sure the bank can detect problems before they become full-blown scandals, the people said. On Tuesday, bank CEO Sloan told CNBC that the bank now expects the cap will be lifted in the first half of 2019, instead of this fall. He added that discussions with the Fed regarding the operational and risk compliance aspects of the plan were ongoing. "I'm optimistic that we'll continue to make progress, but we need to demonstrate that we're deserving of the asset cap being lifted," Sloan said. The bank told investors in May that it expected the asset cap to hurt profits by only $100 million. Over the past nine months, Sloan has met several times with Fed Governor Lael Brainard to try and agree on the specifics of the new plan, said two sources. Betsy Duke, a former Fed governor who now sits on the Wells Fargo board, has joined Sloan in those meetings, they added. Reuters could not ascertain how close the two parties were to an agreement. However, even if the Fed blesses Wells Fargo's plan before year-end, the settlement still requires the bank to hire outside firms to perform an independent review of the bank's operations - work that is expected to take months. In May, Fed Chairman Jerome Powell said removal of the cap would also be put to a vote of the board of governors.